Tote your notes wherever you go with this handy journal! Colourful cover features a metallic sheen, elastic strap closure and black ribbon bookmark. 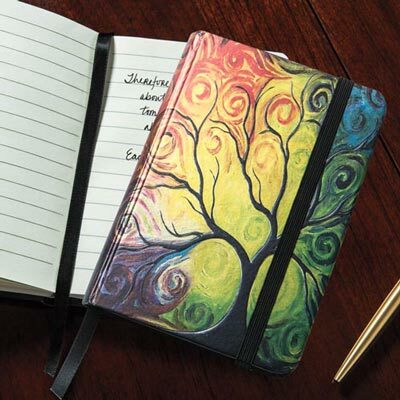 Lined pages make journaling and jotting a breeze. Makes a great gift! 5½"h.
BEAUTIFUL little notebook! Fair price & good quality! Hope you get them back in stock..soon!